At 35, Sean O’Connell is done fighting. And as much as he loves it, he knows the punches would eventually take their toll. (Francisco Kjolseth | The Salt Lake Tribune) Former Utah football player Sean O'Connell turned MMA fighter, recently won $1 million for his career-altering and career-ending fight on New Year's Eve. "OC," who also works for Sirius XM radio, announced his retirement from mixed martial arts citing concerns about long-term brain injuries. OC is newly-married and is expecting his first child with his wife. Once the last remnants of adrenaline had finally faded away and the shades of skin around his eyes began to darken a bit more, Sean O’Connell ordered a salted caramel shake. 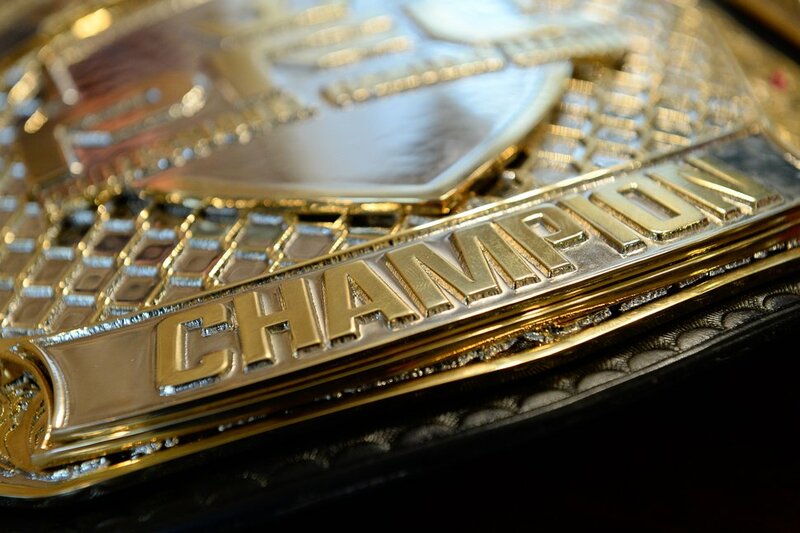 It was in the first few hours of 2019 somewhere in Manhattan, sometime after he wrapped up the biggest and best fight of his career with a third-round TKO, having a massive gold title belt placed on his right shoulder and handed an absurd-sized check that had a one, six zeroes and a couple of commas on it. He was drained. He had nothing left because he left nothing in the tank. In the cage inside Madison Square Garden on New Year’s Eve, O’Connell won $1 million in the light heavyweight title bout of the 2018 PFL World Championship. A winner-take-all scenario against a fighter who was the odds-on favorite on to beat him ended in Vinny Magalhaes, O’Connell’s opponent, saying enough is enough. After three rounds, he did not stand up from his corner stool. Then, just minutes after having his arm hoisted in the air as the winner, O’Connell announced his retirement from the world of mixed martial arts. He’d walked away once before, but this time, he vows, it’s cemented. He walked off the mat, instead of being helped off it. He walked to the locker room bathing in a win that will transform his life for the better. He’s had walks to the locker room before that he simply can’t remember. O’Connell left a champ, a man with a giant million dollar check, and a shiny championship belt that is, in fact, as heavy as it looks. After he ordered the shake, he made the rounds. Over 100 friends and family members made the trip out from Utah to spend their final day of 2018 to watch him fight what turned out to be his very last fight. They hung out at the after party at The New Yorker hotel. At 2:30 a.m., he and his wife, Kendel, went up to their room to pack. The shuttle to take them to the airport left at 3:30 a.m. He was allowed to bring his $1 million check on the plane. It wouldn’t fit in the overhead bin, so the flight attendants stuffed it in the coat closet. The plan is to take it to his training gym, Jeremy Horn’s Elite MMA Performance, in Sandy. Nearly two weeks since the fight, Sean O’Connell’s eyes remain bruised. The part just beneath the eye is the last of a black eye disappearing. They’ll be healed soon enough, he said. Inside his home in the Avenues, O’Connell said he’s not one for personal memorabilia. There is no dedicated shrine room to his fighting career. Some posters here and there. Now he has to figure out what to do with the belt. He will in due time. Seated in his dining room, O’Connell details why he’s stepping away. His self-deprecating nature is on full display. He’s older, slower and fatter at 35, he said. There are more grays showing up in his hair and beard lately. He could fight until he’s 40. The physical shape part of it isn’t an issue. Life has changed quite a bit for “The Real OC.” He and Kendel married this summer. They’re also expecting their first child in May. So things aren’t what they were five years ago, when O’Connell was making a name for himself in the UFC world with his hard-swinging ability, humorous weigh-in tactics and what he calls a unique ability to block punches with his face. A husband now and soon-to-be a first-time dad, he couldn’t ignore the what-ifs any longer. “Every time he steps in the ring, something could happen,” said Kendel. O’Connell, once a sports talk radio host with ESPN 700 in Salt Lake, now works for Sirius XM radio doing a show on the Pac-12. During his year away from fighting in 2017, he spoke with a specialist at Stanford for an on-air interview regarding the rise of CTE (chronic traumatic encephalopathy) in athletes, particularly former football players. O’Connell himself is a former Utah football player. Once the interview concluded, O’Connell reached out independently. The specialist, also a fellow at the CTE Center at Boston University, asked O’Connell if he’d be willing to donate his brain posthumously one day for study. O’Connell eventually decided he would. CTE, a deteriorative brain condition associated with repeated blows to the head, cannot be determined in a living patient. Researchers hope to one day soon be able to test for it, but as of now, the only way of knowing if someone was living and dealing with CTE is to test the brain after someone is deceased. O’Connell said he’s never been diagnosed with a concussion. He’s been knocked out cold twice in his life, both in fights. A third time he came close, but was still somewhat coherent. He estimates in total he’s probably had five concussions in his life between fights and licks taken in the training gym. “But by definition of the brain bank, I’ve had thousands and thousands of concussions because my brain’s been rattled around from every hit I’ve ever taken,” he said. He doesn’t live in fear, though, that despite all the blows to the head from his football and fighting career that one day he’ll begin to exhibit potential CTE-type symptoms. He feels lucky that while he’s taken part in such violent sports, he is closing that chapter feeling fine. Every fighter, however, has a number of hits they can take and hits they should take. It’s undefinable, though. Every brawler is different. Each time a training partner landed something solid, that was one less. Each prize fight, he’d lose about 10 minimum, he guesses. This is not a reactionary move, O’Connell said. It’s a precautionary one. Because if he kept going, at some point, there’d be a kick to the side of a the head or a haymaker landed that could change everything, a shot that could derail a career, or change a person from then on. “You don’t have to play with fire forever,” he said. 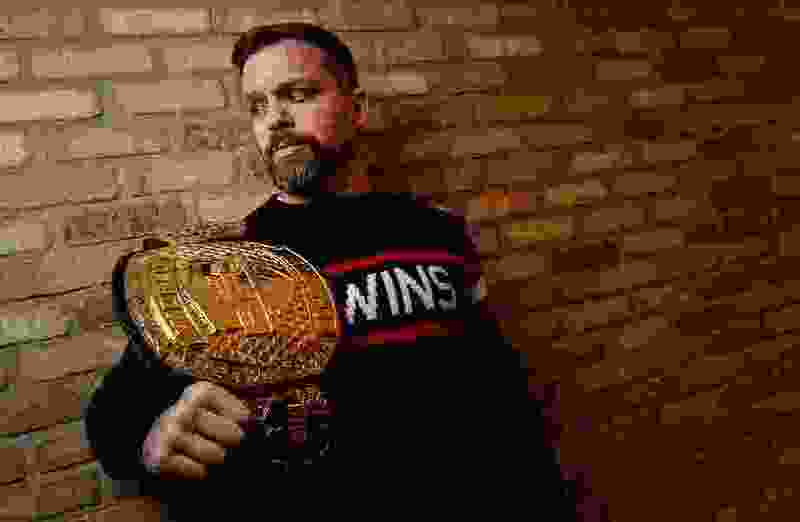 (Francisco Kjolseth | The Salt Lake Tribune) Sean O'Connell's light heavyweight PFL Championship belt earned in his New Year's Eve fight inside Madison Square Garden. He has the million dollar story, but doesn’t want to write it. O’Connell will have to figure out life in this new post-Real OC realm. He’ll continue working with Sirius XM and plans on doing more live broadcasting in MMA. Since joining PFL last year, he’s also started calling undercard fights. But he doesn’t want to limit himself to anything. O’Connell has already written a novel and has the sequel all storyboarded and has the first 150 pages or so done. He wants to try his hand at screen writing, too. It won’t be autobiographical. He knows his story has a tinge of Hollywood: the underdog fighter who emerges victorious, gets to leave with the giant check, with his dream girl by his side, a kid on the way, the perfect send-off. Now comes the hardest part, he acknowledges: Finding ways to scratch what will eventually become an insatiable competitive itch. There’s no describing the feeling to those who’ve never done it, he said. It’s the most distilled form of competition, human vs. human, no teammates to blame to instant replays to fume over. In a career once defined by risk, O’Connell is moving on. He has to figure out how to cash a $1 million check. By rule, he has to wait until his drug test clears him, then the athletic commission clears the next phase. His dream is to eventually buy a spot on Oahu, but with a young family that includes an Italian Mastiff named “Mr. President,” that might have to wait a while. “Everyone I’ve talked to asks, ‘What are you going to do with a million bucks?’” he said. Here’s the answer: Sean O’Connell is going to live his life. And the gloves are off.